Ingeniously, these have an accordion style mechanism that enables collapsability when not in use. To be honest, although it did collapse to a pretty small size, it still did add some bulk to the phone that made getting it in and out of my shirt or pants pocket difficult. The Popsocket is made from TPU, polycarbonate and polyurethane and are made to endure at least 12,000 expansions and collapses. It attaches to the device with the use of very strong sticky gel, that leaves no residue. It is expected to be able to be attached and removed about 100 times prior to losing its stickiness. They offer over 150 designs as well as the ability to upload your own image for a small upcharge. 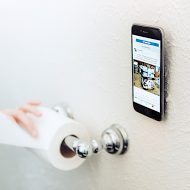 The company also offers the a mounting device that allows you to "hang" your phone just about anywhere. Recently I received a package of PopSockets to check out. 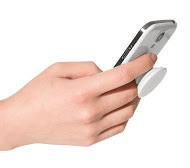 Popsockets are a cool little gadget that attaches to your phone and helps you hold onto the phone. But they are much more than that too. They can be used to keep your headphones from tangling, stabilize your phone when taking pictures, or even as a stand to watch movies.